Joseph Ciullo has been a member of the BWEF board of directors since 2010. His passion has always been education and he spearheaded the newly formed Scholarship Committee which, beginning in 2018, will grant an annual award to a graduating senior of Mount Hope High School. Joe graduated from URI with a degree in Mechanical Engineering and earned his Masters of Education from Rhode Island College. 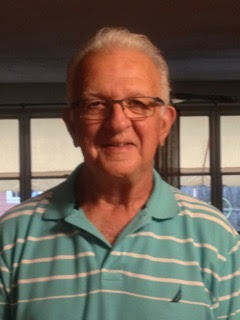 He has devoted 45 years to education as a high school mathematics teacher in Bristol, Middletown, and Attleboro MA. He also founded a private summer school program in Barrington which ran for 22 years. Joe's two daughters have followed in his footsteps, one working as a high school mathematics teacher and the other in Pre-K special education. He and his wife Joanne have been residents of Bristol for over 50 years. Joe enjoys bicycling, walking, gardening, and entertaining friends and family, especially his grandsons, both students in the Bristol Warren School District.